The Lyn Collins "Think About It" chopped beat was sampled straight of of Tuff Crew's 1990 track "Hittin Hardball". A classic in every sense of the word, a tune that puts a smile on everyone's face when it's played and a tune that will forever stand the test of time. Jonny L is a true legend and this tune is just one of the reasons why. 'Hurt you so' still gets regular plays in the clubs and I recently went and heard Andy C play at Alexandra Palace (2016) and this tune received the greatest reaction of all on the night! Says it all really! Jonny L originally offered this tune to Moving Shadow, who decided not to sign it up. Simon Colebrooke's (Moving Shadow A&R) younger brother brought the tune to his attention but he decided not to sign it as it was his little brother who'd recommended it to him. 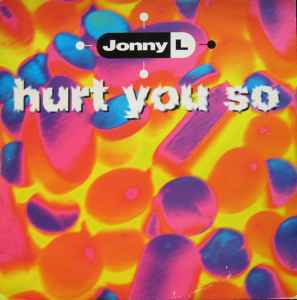 Hurt You So,A must have tune,The full mix on the a side is the mix all the top dj's played back in the day,I.E dj slipmatt,Dj sy,And the same mix got cained by the ratpack(nearly every set in 1991-92 thay did),It as a nice breakbeat start witch is easy to mix,Then a nice rolling bassline with a spinback that takes it in to a realy nice break (hands in the air stuff)+ the alright sample realy set's off the track,The L mix on the b side is a little tuffer but just as good as the a side mix,If u dont own this track & your an oldskool dj your realy missing out (BIG-TIME).